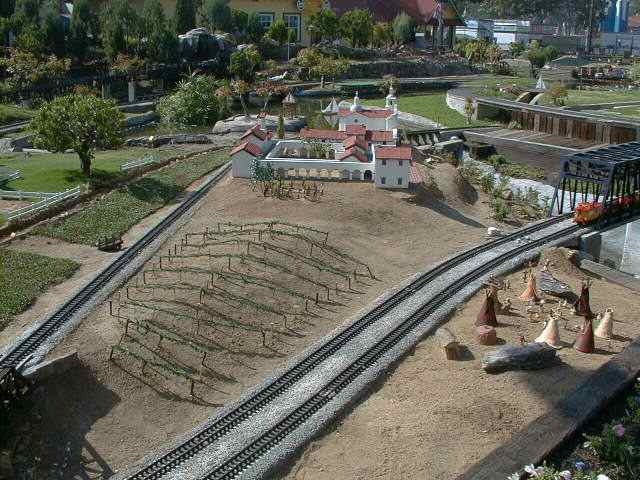 There are many smaller scenes on the display. This California mission is prominently placed front and center. 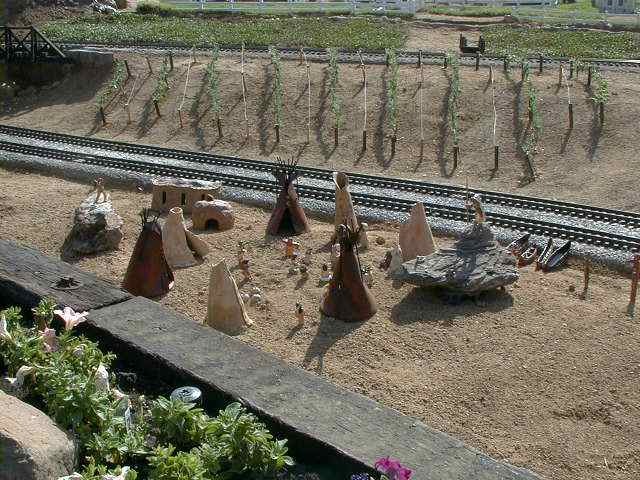 Next to the mission is a field of grapevines and across the track, a native American village. 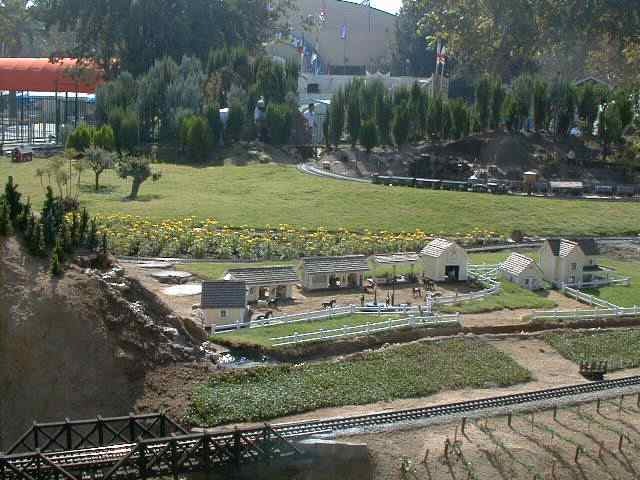 This is the native American village in close up. Such villages often sprouted up near missions as one of the main reason for existence of the missions was to convert the native cultures to Christianity. The mission is adjacent to a small farm, probably on the mission property. 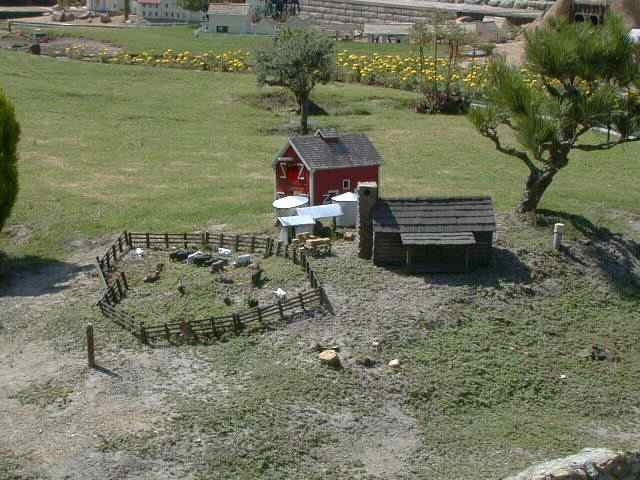 A small ranch is depicted on the north side of the display. 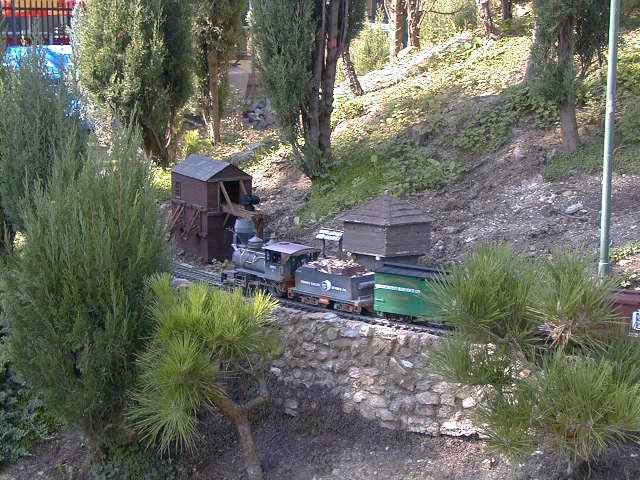 Up on the mountainside, an old wood burner passes by a fort. Right in the front of the display is a town with several houses under construction and another set of buildings facing a small lake. 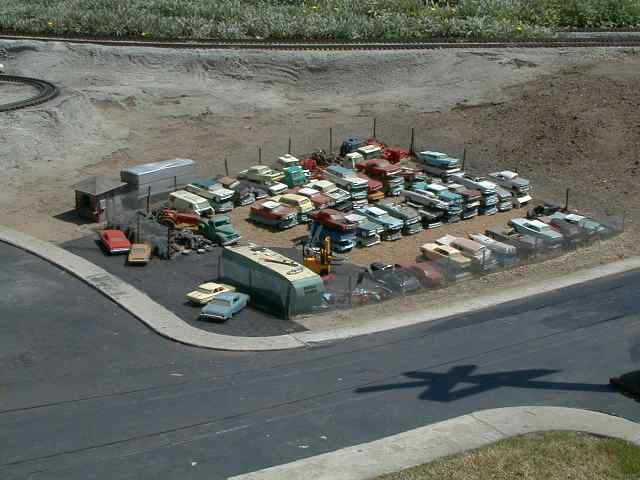 On the south side of the display, near the circus interactive area, is an old junkyard, a monument to the automobile which was so important to California's development. Another monument the automobile is the auto repair shop. 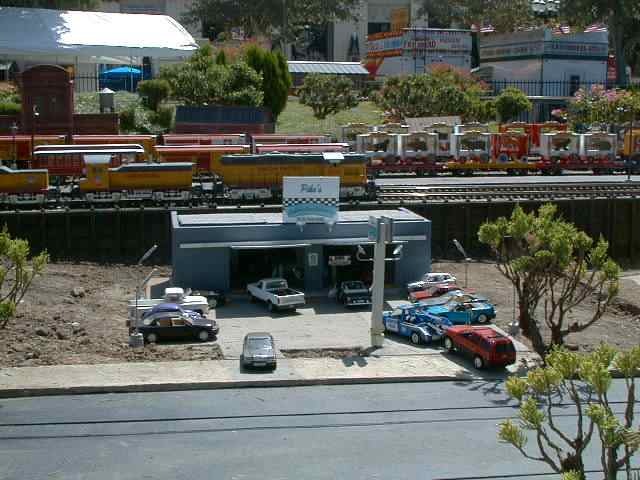 This building is located right on the main drag at the front of the display. 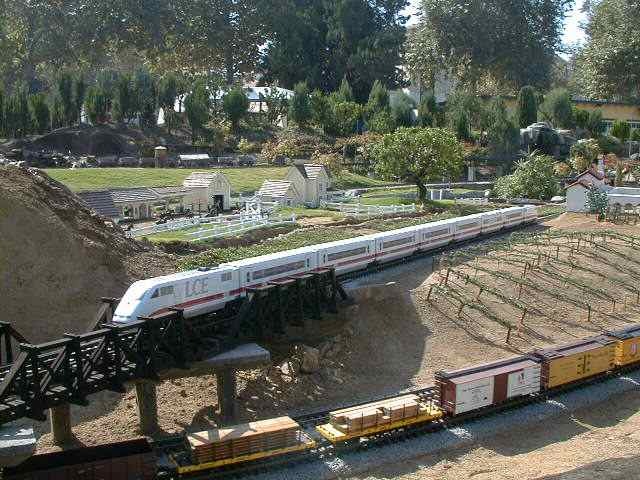 Juxtaposed in both time and space, a modern electric passenger train passes the mission.